This month’s Food ‘n Flix movie (the fun club wherein bloggers watch a movie and whip up something delicious inspired by the movie) is hosted by Evelyne from Cheap Ethnic Eatz. The movie is TheTerminal. In the movie, Viktor (Tom Hanks) gets stranded in the NYC terminal when his country goes to war while he’s in flight. Therefore, he can’t be admitted to the US, nor can he be deported back to his home country. Throughout the course of the movie, Viktor makes friends and finds a job. It’s a cute movie! So how does one get inspired by airport fare? Well, when Viktor is short on money, he makes a “sandwich” out of airport freebies. He makes a stack of saltine crackers with various condiments spread between the layers (it's hard to see in the photo, but he has ketchup, mustard, and what appears to be pickle relish). And that was my inspiration. I decided to mimic a few of the flavors (tomatoes), but mostly go for the same color palate for a delicious take on a saltine cracker and condiments stacker. So I make a breakfast sandwich stacker! YUM! 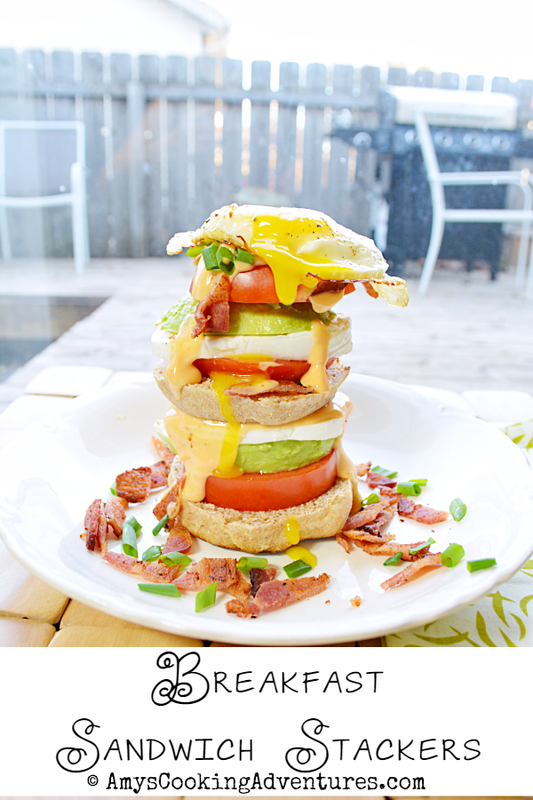 It starts off with a delicious homemade English muffin, it’s stacked up with fresh tomato, mozzarella, and avocado, the drizzled with a fantastic aioli and repeated. 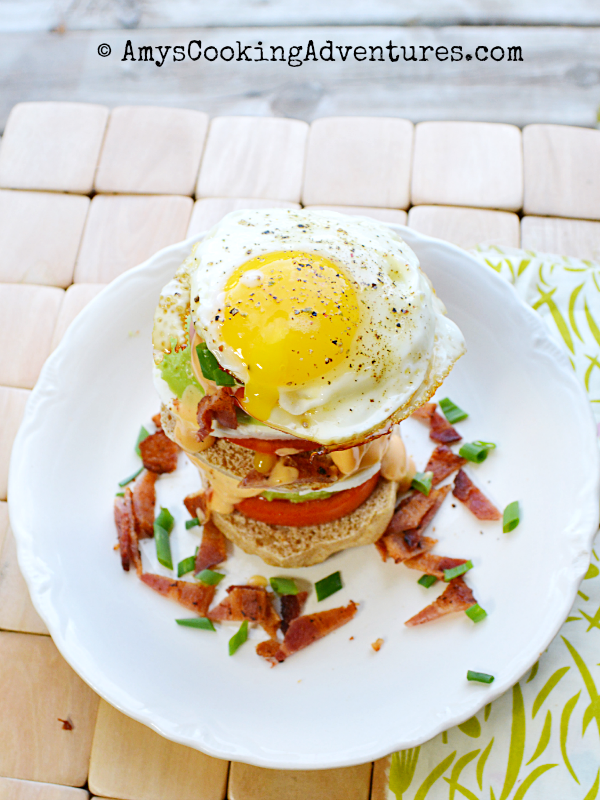 Then topped off with an egg and bacon (the bacon & aioli tie the whole thing together!) So there you have it! My twist on saltines & ketchup packets! Place one half of the English muffin on a plate. Stack slices of tomato, mozzarella, and avocado on top, then generously drizzle with sriracha aioli. Then repeat with the second English muffin and the remaining slices of tomato, mozzarella, and avocado. Drizzle with more aioli and top with the fried egg and crumbled bacon. Whisk all of the ingredients together. Cover and refrigerate for 6 hours before using to let the flavors meld. Wow so impressed Amy on your take of the saltine sandwiches, this looks so amazing and it is piled so high! Great entry. Oh my goodness... I can't wait to try this! Amy, this breakfast stacker looks great! I love avocado and egg together! I would totally eat this for breakfast with an amazing cup of coffee. Holy cats woman! This is breakfast heaven!! Coming to you from Wednesday Whatsits and sharing!! 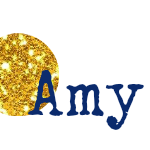 Beautiful, Amy!! Thanks for sharing with Food'N'Flix. Oh yea--your stackers look so much better than poor Viktor's! ;-) They are downright mouthwatering and I adore that Sriracha Aioli. I love how creative you got.